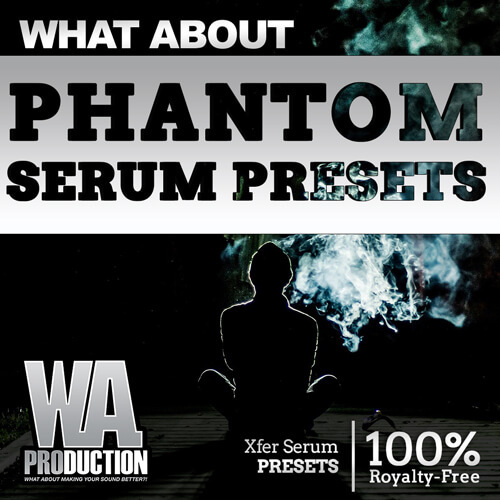 ‘What About: Phantom Serum Presets’ by W. A. Production consists of 233 EDM Presets for Xfer Serum. Forget what you know, and get ready to hear something inspiring. With the rise of EDM and Dance music in commercial media these Presets are modern and without repetition. This pack is inspired by top influential genres such as Melodic Dubstep, Trap, D&B, House, and Future Bass. Serum offers an infinite number of combinations to create a desirable sound. Created by professional sound designers who specialize in the functionality of Serum, this is a brilliant collection of Presets that you can use as a learning tool, a means of inspiration, or to build off to create your own customised sound.